Ex Postal Facto is the brainchild of Jennie Hinchcliff/Red Letter Day. How did all this come about? What does it all mean? Those are both very good questions. In 2012, Jennie was invited to participate in AARPEX (Artistamp Artists Reunion & Philatelic Expo) which took place in Seattle, WA. For many notable artistamp makers, AARPEX was the first time in a long time they been in the same room together in many years. It was two incredible days of sharing stories and trading artwork. During those 48 hours Jennie met many of her mail art and artistamp heroes, gleaned untold inspiration, and felt as if she were witnessing something entirely extraordinary. Upon returning to SF, a series of incredible opportunities presented themselves: the SF Center for the Book tapped Jennie to curate a mail art show for the 2014 calendar year. After a bit of brainstorming, it seemed like a perfect fit to invite John Held Jr. to participate as a co-curator. The idea of a “postal modern” weekend suddenly became a possible reality. Approaching the SF Public Library and the historic Elks Lodge in downtown San Francisco, Jennie received enthusiastic support from both venues, as well as a commitment for a weekend event. Ex Postal Facto was quickly becoming a reality. By the time 2012 turned into 2013 plans for the conference were well underway, with multiple events in multiple venues in San Francisco. Working with a dedicated group of volunteers, Jennie continues to come up with ideas and activities for Ex Postal Facto attendees – this is an event that promises to be a mail art milestone. Whether visiting from another country or visiting from across the bay, Jennie and the Ex Postal Facto team give you a warm welcome to this historic San Francisco event. 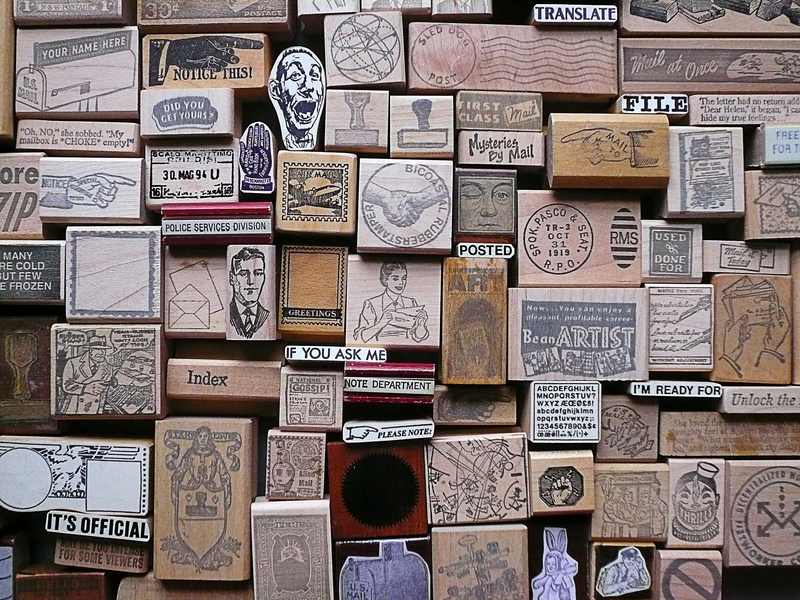 A colorful and exuberant mail art history awaits you, both old school and new school. I live on cape cod and would love to attend. I am thrilled to hear about this group and event. I am a mail artist thinking I was working alone. Anne, There are mailartists right in your backyard! I’m in Duxbury. This sounds like it will be a terrific event that really resonates with me. I learned about it by chance by picking up your card at ARCH yesterday where they were having the the snail mail mixer. I hope to attend some or all of the events. would you like a piece of mail art from me for the event ? ( no matter ) heigh ho ! I just found out about this, and I live mere blocks from the SF Center for the Book. I am crushed that I missed it! I hope activity continues and I can be involved in the future. I will definitely stop by SFCB — thanks for the tip! WIll there be another eX Postal Facto planned?